We had some great entries for our ‘How Well Do You Know Norwich’ competition. There were fifteen images of places all located within the Norwich city walls except one. The challenge was to identify as many as possible. The winner, and lucky recipient of two free vouchers for a Behind-the-Scenes tour is Benjamin Davies. Let’s take a closer look at some of the buildings featured in the competition. Number 9 is a section of the Guildhall. This pen and ink sketch of the Guildhall in Norwich is probably from around 1915. The Guildhall was originally built by the citizens of Norwich to celebrate Norwich becoming a county in its own right by a royal charter of 1404. It contained law courts, and the basement served as a city prison. A century ago, some city officials questioned whether it was worth preserving; fortunately, the Guildhall has survived and has become one of the city’s most-loved buildings. The sketch also depicts Chamberlins department store (now Tesco) on Guildhall Hill on the right. Chamberlins was the pre-eminent store in Norwich in the late nineteenth and early twentieth centuries providing a level of service unsurpassed in Norwich and the surrounding area. The drawing also shows trams going up the hill. Norwich Electric Tramways began laying rails and the first services opened on 30 April 1900. On the first day 25,000 passengers were carried. When the trams first appeared ‘so great was the enthusiasm that men ran out of a barber’s shop, their faces still covered with lather, to see this amazing spectacle’. (Atkin 1993). Number 14 is a section from the Royal Arcade. 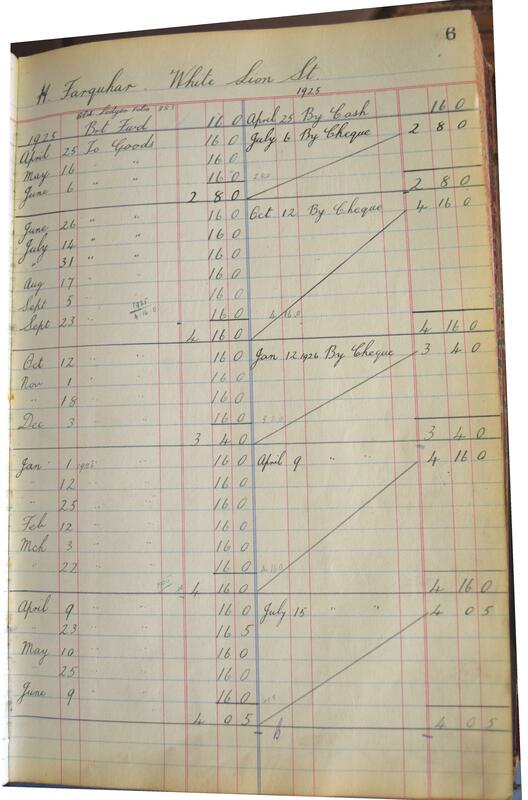 This page is from a customers’ accounts ledger, for tobacco and sundries. It is taken from the records of the Royal Arcade branch of F. Lambert and Son Ltd. They were tea merchants, tobacconists and confectioners. The page is from 1925 and details the accounts of a customer called H. Farquhar who lived on White Lion Street. 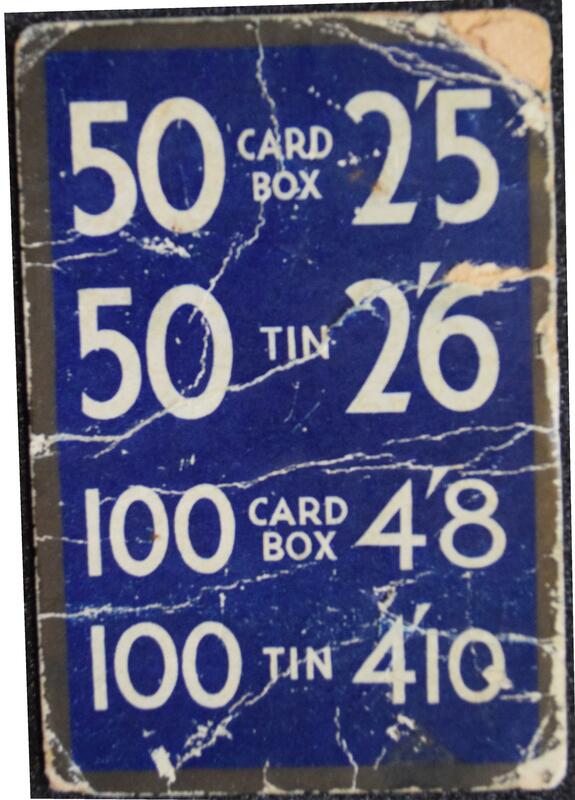 This price card is taken from the same records. The Royal Arcade was designed by George Skipper (1856-1948), who was born in Dereham. The Royal Arcade is in art nouveau style, with glazed Doulton tiles decorated with peacocks. A shopping arcade was a novel experience for the city and Skipper’s design ensured a unique shopping experience for its inhabitants. When it opened in May 1899, a local newspaper said ‘ It is as if a fragment of the Arabian nights had been dropped into the heart of the old City.’ One of the present-day shops, Langley’s, has been in the Royal Arcade from the beginning. 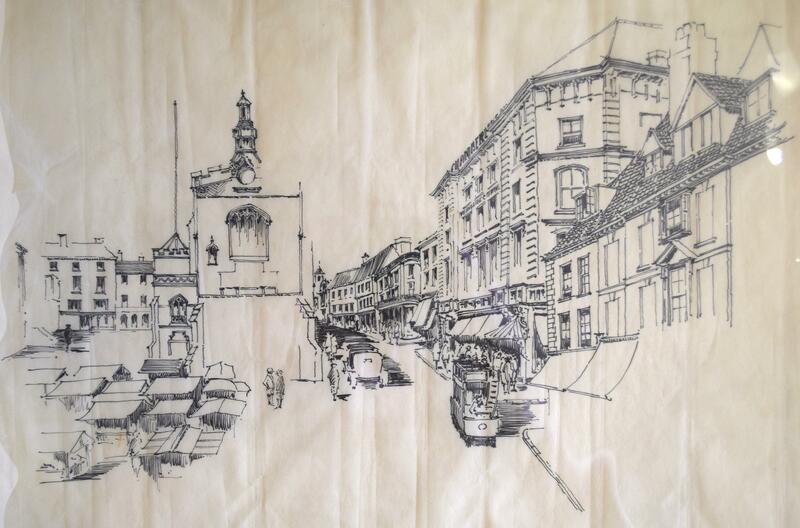 This entry was posted in Events, Young People and tagged architectural plans, competition, George Skipper, illustration, prisons, royal arcade, shopping, The Guildhall, trams. Bookmark the permalink.